Post the findings and after due deliberations, the bank said that it has decided to treat Kochhar’s exit as ‘Termination for Cause’ under the bank’s internal policies and would revoke all her existing and future entitlements such as any unpaid amounts, unpaid bonuses or increments, unvested and vested and unexercised stock options, and medical benefits, and require the clawback of all bonuses paid from April 2009 until March 2018. Independent corporate governance observers were quick to point out that the bank’s board should also be held responsible as it had promptly given a clean chit to Kochhar last year and had issued a statement backing her. The enquiry report concluded that Kochhar failed to discharge her fiduciary duty to recuse herself to avoid any conflict of interest. The bank’s processes were rendered ineffective by her approach to such disclosures and avoidance of conflict. The bank noted that “there are no implications of the enquiry report on its published financial statements” for April 2009 to March 2018. The head of enquiry, Justice Srikrishna, was assisted by a law firm, a forensic and investigative services firm for the conduct of the enquiry. Last week, the Central Bureau of Investigation (CBI) booked Kochhar for alleged cheating and corruption in sanctioning loans to companies of Venugopal Dhoot, managing director of Videocon Group, which have caused a loss of Rs 1,730 crore to the bank. The first information report (FIR) said that the role of other top ICICI Bank officials, including Sandeep Bakshi (now the MD and CEO), K Ramkumar, Sonjoy Chatterjee, N S Kannan, Zarin Daruwala, Rajiv Sabharwal, K V Kamath and Homi Khusrokhan should also be probed as they were part of various loan-sanctioning committees in the bank. The FIR said that Kochhar received “illegal gratification” through her husband Deepak Kochhar from Dhoot for sanctioning various loans to the latter’s companies that have now turned non-performing. In June 2018, the audit committee of the bank had instituted an independent enquiry committee, headed by Justice Srikrishna, to probe various allegations against Kochhar, including the Rs 3,250-crore ICICI Bank-Videocon loan case. Kochhar was on the bank’s credit committee that sanctioned the loan of to the Videocon Group in 2012. Venugopal Dhoot was one of the first investors in NuPower Renewables, promoted by Deepak Kochhar, Chanda Kochhar’s husband, in 2008. The allegations had first come to light in 2016 and resurfaced in March 2018 when a news report alleged a series of transactions between the Videocon Group and NuPower Renewables between 2008 and 2013. 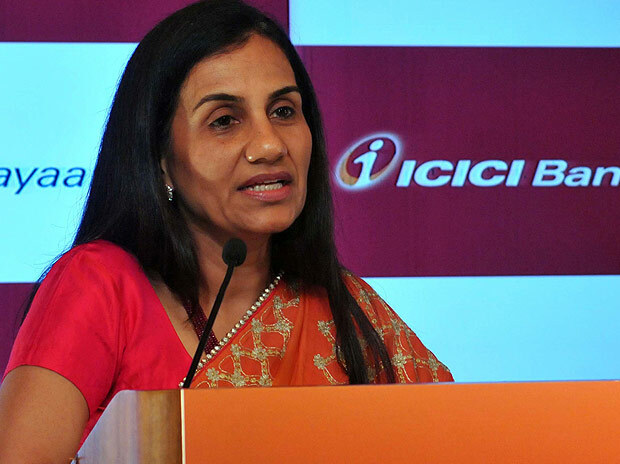 Even though the report alleged improprieties and lack of disclosure against Kochhar, the ICICI Bank board backed her in a public statement and said loans to Videocon was part of a consortium and ICICI Bank was not the lead banker. However, more reports came out, showing Kochhar's immediate family members, including her husband Deepak and his brother, had allegedly benefitted from ICICI Bank's borrowers like Videocon and also the Ruias-promoted Essar group. This led to the launch of a multi-agency probe into the matter. India’s leading law firm, Cyril Amarchand Mangaldas too faced criticism last year after it withdrew its investigative report of 2016 that had cleared Kochhar on allegations of nepotism and impropriety raising doubts about the credibility of the law firm. Kochhar resigned in October 2018 before the expiry of her term on March 31, 2019 after nine years at its helm. Meanwhile, the bank said it posted a 2.75 per cent fall in profit at Rs 1,605 crore for the quarter to December. But it has reported an improvement in asset quality as the gross non-performing assets (NPA) additions decreased from Rs 3,117 crore in the quarter ended September 30, 2018 (Q2-2019) to Rs 2,091 crore in Q3-2019—the lowest in the last 14 quarters. The gross NPA ratio fell to 7.75 per cent against 8.54 per cent on a quarter-on-quarter basis. Similarly, the net NPA ratio decreased from 3.65 per cent in Q2 to 2.58 per cent in Q3, the lowest in the last 12 quarters. “We believe that the bank is well placed with its capital adequacy, abating slippages pressures, while the present indictment of the erstwhile management is sentimentally negative. “Notably, since the report has not put aspersions on the published results, it should hence not impact the bank materially. We see ICICI Bank, at this stage, armed with a new management, having an opportunity to gain market share and quality clientele. We have a Buy rating on the stock,” added Shrivastawa.